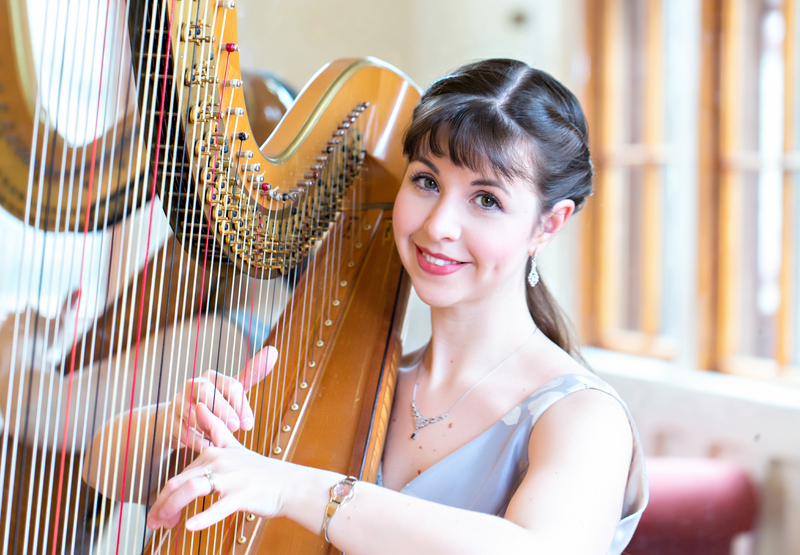 Katie Lynch Koglin performs Handel’s Harp Concerto with the Falmouth Chamber Players Orchestra November 7 and 8. Photo by Amanda Considine Robitaille, Shoreshotz Photography. The Falmouth Chamber Players Orchestra, John Yankee, Music Director, will present its fall concerts on Saturday, November 7, at 2 PM, and Sunday, November 8, at 3 PM, at John Wesley United Methodist Church, 270 Gifford Street in Falmouth. Please note the 2 PM start time on Saturday, which will allow concertgoers to drive home before dark, or have dinner afterwards! Harpist Katie Lynch Koglin, the featured soloist, will perform George Frideric Handel’s Harp Concerto in B flat Major HWV 294. The orchestra will also perform Wolfgang Amadeus Mozart’s Six German Dances, K. 509, and Robert Schumann’s Symphony No. 4 in D Minor, Op. 120. Koglin received her bachelors and masters degrees in harp performance from Boston Conservatory. She has performed with College Light Opera Company since 1994, and has also played with the New Bedford Symphony Orchestra, the Simon Sinfonietta, Cape Symphony Orchestra, and Metrowest Symphony. She has also performed solo and chamber music concerts for Cotuit Center for the Arts, Cape Cod Museum of Art, Highfield Hall, Church of the Messiah, and Friends of the Falmouth Library, and has played for many choirs, including Mastersingers by the Sea, Falmouth Chorale, Interfaith Choir of Cape Cod, Glorieae Del Cantores, and various churches and schools. She is releasing her first CD this year, “Amid the Winter Snow,” a Christmas album, as part of her trio, Illumine. Mozart was an enthusiastic dancer and wrote many dance works, including ten sets of German Dances, most for court dances and balls in Vienna. His Six German Dances were written in 1787 in Prague, Czechoslovakia, where Count Johann von Pachta had commissioned him to write some music for a party the count was giving. It is said that he did not complete the commission and, instead, wrote the six dances an hour before the guests arrived. The cheerful, energetic dances are linked with modulating interludes and end with a lively coda, providing a continuous flow of music. “The dances are playful and spirited, and they are great fun to play,” said Laura Sonnichsen, vice-president of the orchestra. Schumann’s Symphony No. 4 in D minor is considered one of his most original and inventive works because of its unity and sense of cohesion. The symphony begins with a slow, mysterious, flowing theme in the bassoon and second violins; it recurs in various forms throughout the piece. Though it has the standard four movements, they are so closely integrated into a unified work that Schumann specified that they be played without pauses between them. He called it a “symphony in one movement” because of the way the movements flow together. It was not well-received at its premiere, however, and Schumann set it aside for 10 years. He heavily revised it in 1851. The earlier version, favored by Brahms, is considered “lighter and more transparent in texture,” but Clara preferred the later, more stately, version, with a richer, and more full-bodied sound. The performance of the revised version in 1853 proved to be one of the final musical triumphs of Schumann’s life, and it is the one that the Falmouth Chamber Players Orchestra will be playing. Mora, who double-majored in music and environmental science and works as a scientist at Waquoit Bay National Estuarine Research Reserve, has been playing with the FCPO for six years. “One of the fun parts about playing with this orchestra is that many of us have careers other than music. There are scientists, teachers, nurses, all kinds of professions represented. It’s fun that way,” she said. Mora encourages other musicians to join the orchestra. “We would love to have more string, wind, and brass players,” she said. Admission is by donation. A $20 donation for adults, and $5 for students, is suggested. For more information, contact Fritz Sonnichsen, president of the FCPO, at 508-274.2632 or visit www.falmouthchamberplayers.org.